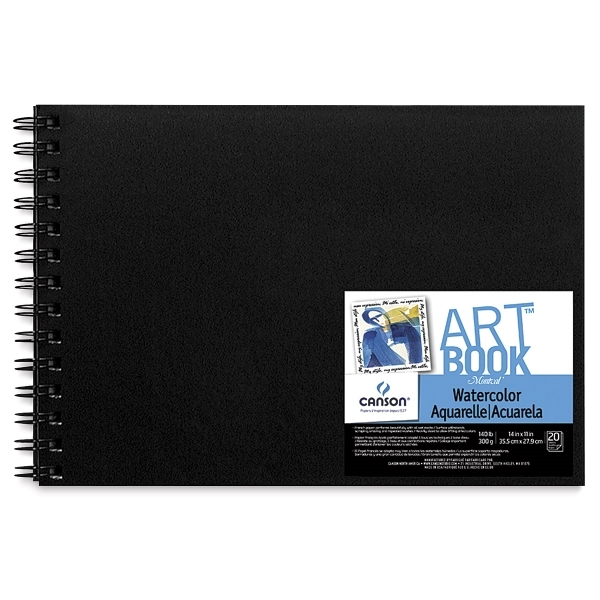 Canson Montval is a fine-quality, acid-free, mildew-resistant watercolor paper that is ideal for watercolors, gouache, and acrylics. The Canson Montval Field Watercolor ArtBook contains 20 sheets of cold press, natural white 140 lb (300 gsm) paper. The book has a hard cover and is double-wirebound, convenient for outdoor use.